Definition and Summary: The Kellogg-Briand Pact, also known as the Pact of Paris, was a treaty between the United States and 62 other nations "providing for the renunciation of war as an instrument of national policy". The treaty was inspired by the belief that diplomatic agreements could end war altogether. The treaty has been broken on several occasions but it introduced the notion of 'crime against peace' which was used during the Nuremberg Trials following WW2. Calvin Coolidge was the 30th American President who served in office from August 2, 1923 to March 4, 1929. One of the important events during his presidency was the Kellogg-Briand Pact. The following fact sheet contains interesting facts and information on the Kellogg-Briand Pact. Kellogg-Briand Pact Fact 1: Following WW1 (28 July, 1914 - 11 November, 1918), the Washington Conference (1921 - 1922) was hailed as a great accomplishment which led to 3 major treaties: the Four-Power Treaty, Five-Power Treaty and the Nine-Power Treaty. Kellogg-Briand Pact Fact 2: The success of the pacts that resulted from the Washington Conference inspired politicians to attempt to agree a treaty in an attempt to abolish war and settle any disputes between counties by peaceful means. Kellogg-Briand Pact Fact 3: This idea that diplomatic agreements could end war altogether led to the treaty that became known as the Kellogg-Briand Pact. Kellogg-Briand Pact Fact 4: The basic concept was first proposed in 1927 by Aristide Briand (1862-1932), Prime Minister of France, as a treaty between the United States of America and France banning war between the two countries. Aristide Briand had employed his conciliatory style to supervise the French role in the Washington Naval Conference. He had then received the 1926 Nobel Peace Prize. 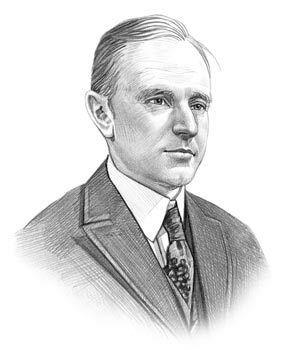 Kellogg-Briand Pact Fact 5: The United States Secretary of State Frank B. Kellogg (1856 - 1937) responded to Briand's idea with an innovative proposal for a general pact against war. Kellogg-Briand Pact Fact 6: Frank B. Kellogg and Aristide Briand authored the treaty and entered negations to obtain agreements to the plan with other countries. Kellogg-Briand Pact Fact 7: The treaty became known as the Kellogg-Briand Pact, was signed in Paris on August 27, 1928. Kellogg-Briand Pact Fact 8: It was proclaimed on July 24, 1929 and signed by the United States of America, Australia, Dominion of Canada, Czechoslovkia, Germany, Great Britain, India, Irish Free State, Italy, New Zealand, and Union of South Africa. Other adherents followed on March 2, 1929: By Poland, March 26, 1929; by Belgium, March 27 1929; by France, April 22, 1929 and by Japan on July 24, 1929. Kellogg-Briand Pact Fact 9: The 1928 Kellogg–Briand Pact was concluded outside the League of Nations, and still remains in effect. It was ultimately ratified by 62 nations. Kellogg-Briand Pact Fact 10: The Kellogg–Briand Pact did not live up to its goal of ending war and proved to be ineffective as countries, having renounced the use of war, began to wage wars without actually declaring war. Kellogg-Briand Pact Fact 11: On the negative side, the treaty has been broken repeatedly as in the Japanese invasion of Manchuria in 1931, the Italian invasion of Abyssinia in 1935, the Soviet invasion of Finland in 1939, the German and Soviet Union invasions of Poland and the United States invasion of Grenada in 1983. Kellogg-Briand Pact Fact 12: On the Positive side, it introduced the notion of 'crime against peace'. -- for committing this crime, the Nuremberg Tribunal sentenced a number of persons responsible for starting World War II during the Nuremberg Trials. Kellogg-Briand Pact Fact 13: Frank Kellogg was awarded the 1929 Nobel Peace Prize in recognition for his accomplishment. The article on the Kellogg-Briand Pact provides detailed facts and a summary of one of the important events during his presidential term in office. The following Calvin Coolidge video will give you additional important facts and dates about the political events experienced by the 30th American President whose presidency spanned from August 2, 1923 to March 4, 1929.